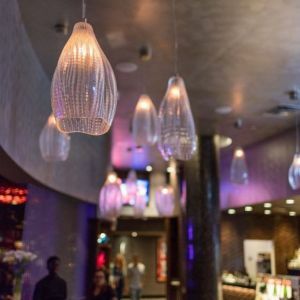 Visitors to The iPic Theater can catch a film in one of the plush auditoriums while dining on gourmet dishes or enjoy dinner and drinks in any of the iPic restaurants and lounges. 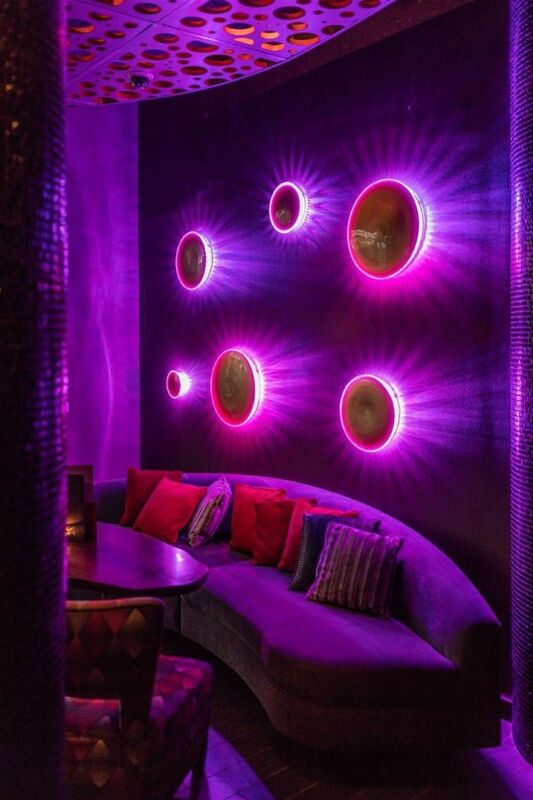 Preciosa’s award winning Muutos pendants made from Bohemian hand blown glass are an integral part of the lounge area. 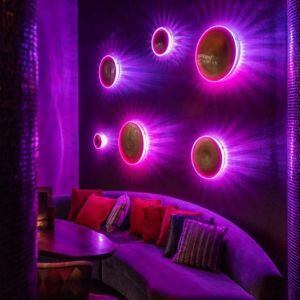 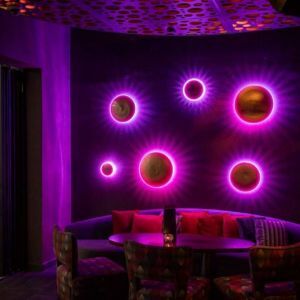 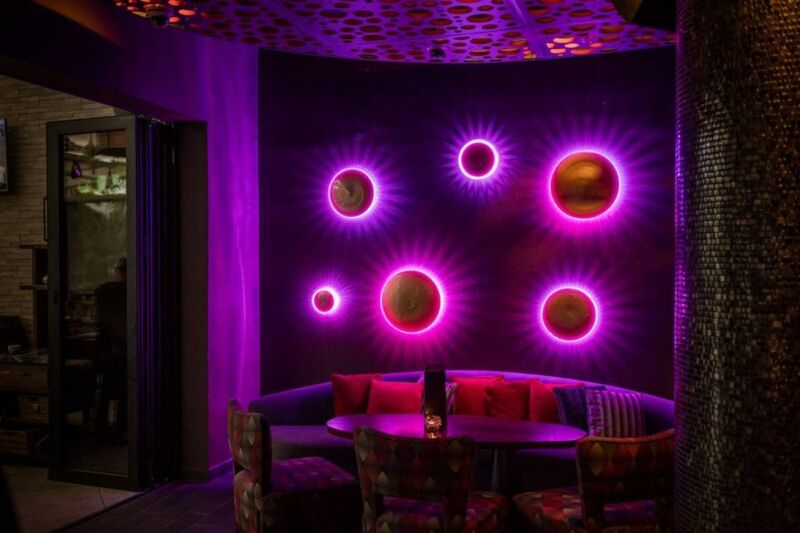 Preciosa’s Glow sconces were selected to give the space a new dimension. 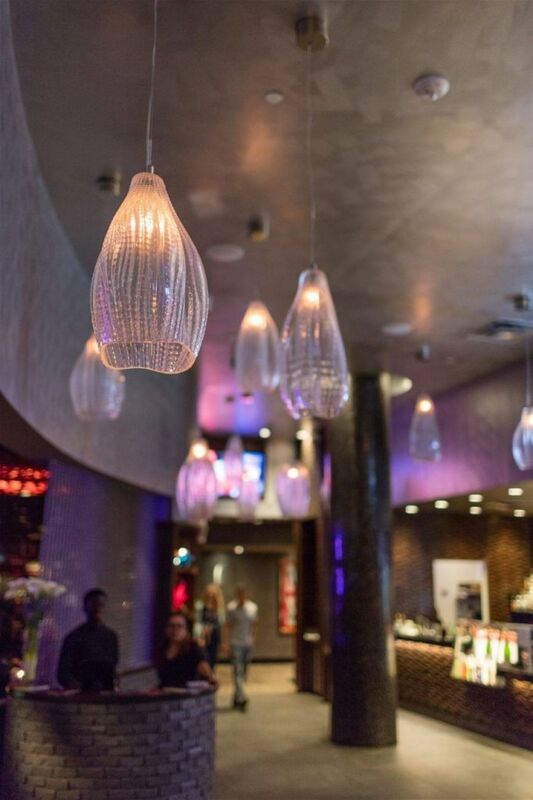 There are six shapes and sizes made from hand blown crystal glass with a gold surface and a cut décor that casts subtle shadows on the wall.